An official at the Ministry of Agriculture said Sunday that eight crops were banned under the agricultural plan for the summer season, citing the lack of water revenues. 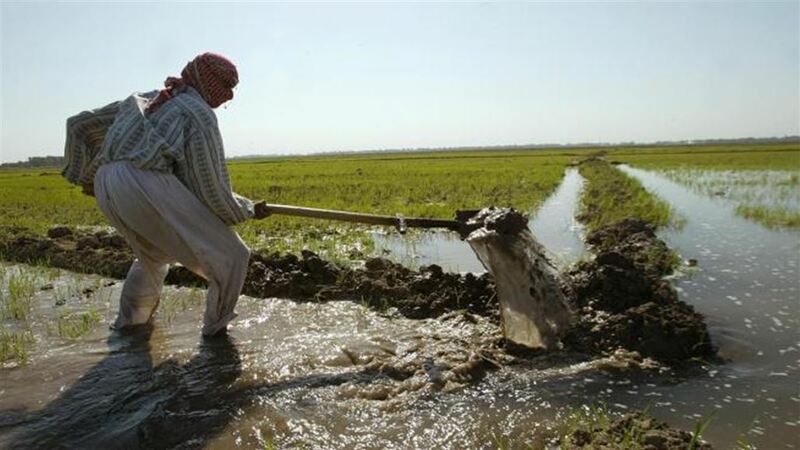 "The Ministry of Agriculture has submitted the agricultural plan for the summer season to the Ministry of Water Resources for adoption," a ministry newspaper quoted Undersecretary Mahdi Mahdi al-Qaisi as saying. "The latter apologized for not being accredited due to lack of water revenues." "The cultivation of rice, maize, sorghum, sesame, cotton, millet (grain used as animal feed), sunflower and cattle from the summer plan has been canceled," he said. For years, Iraq has been suffering from a steady decline in water revenues through the Tigris and Euphrates rivers , and the water shortage crisis has exacerbated the decline in rainfall over the past years. Iraq relies on water security mainly on the Tigris and Euphrates Rivers and their tributaries, all of them from Turkey and Iran and meet near the city of Basra in southern Iraq, to ​​form Shatt al-Arab, which flows into the Arabian Gulf.